… seem to catch up. The guy who started it in 2008 was Balaji Sowmyanarayan (known as labsji on twitter). He started Sim-OnDemand based on Amazons EC2 services. Then came Pixelpark with the OpenSim-in-a-box which was partly funded by the KoPIWA research project (see Justin Clark-Caseys blog and our blog for some details), opening up OpenSimulator based worlds to the cloud and open source. Now, according to New World Notes and HyperGridBusiness we have a tenant-capable cloud based solution with Facebook Connect: Kitely. I didn’t have a chance to test it myself yet, but according to Maria Korolov it rocks. Big time. Kitely – all the best of luck to you! After some workload induced pause will try to gain momentum again. Kudos for this goes to the KoPIWA project, which also starred part-time Justin Clark-Casey, OpenSimulator Developer supreme. Turns out it was ‘project of the month’ on the DLR website as of February 2010 (via). The results are available (german) and a paper (english) will be published soon. There is also an extremely interesting follow-up project on the UDE (Universität Duisburg-Essen) which is described in greater detail on the KoPIWA Serious Games in 3D Blog (german, english). This project will be finalized this month, so there should be interesting results coming up. With the latest buzz on Adam Frisby’s success in adding Megaregions to the OpenSimulator (see the original posting here and more info there on Adam’s Blog) we decided to make a giant leap (sic!) by switching to an even newer version then we intended that will feature this great acchievement. For obvious reasons we will wait a bit until it is more stable and documented but this whole development is very exciting … and Megaregions add up so nicely to Hypergrids :-). OpenSimulator introduces a very cool concept called Hypergrid which is explained in more detail here. 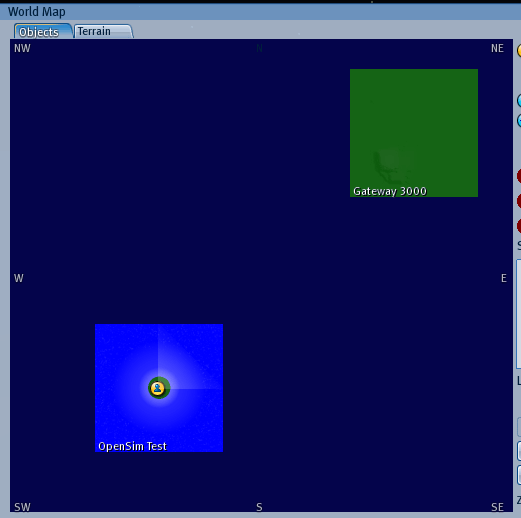 In general it means that you can link regions from different grids together. 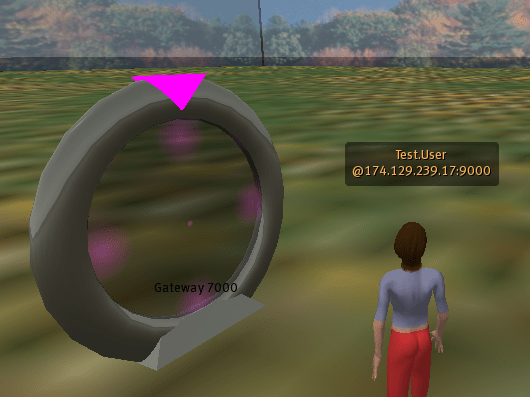 The benefit is that you can teleport to regions from completely different grids, wearing your assets and inventory. 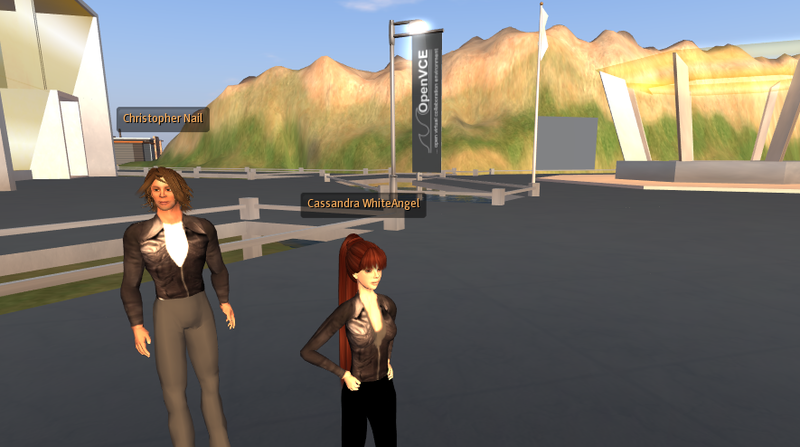 now you are on the UCI Hypergrid! The regions ‘see each other’ only on the map, not inworld. So you can’t simply fly over there, you need to teleport. 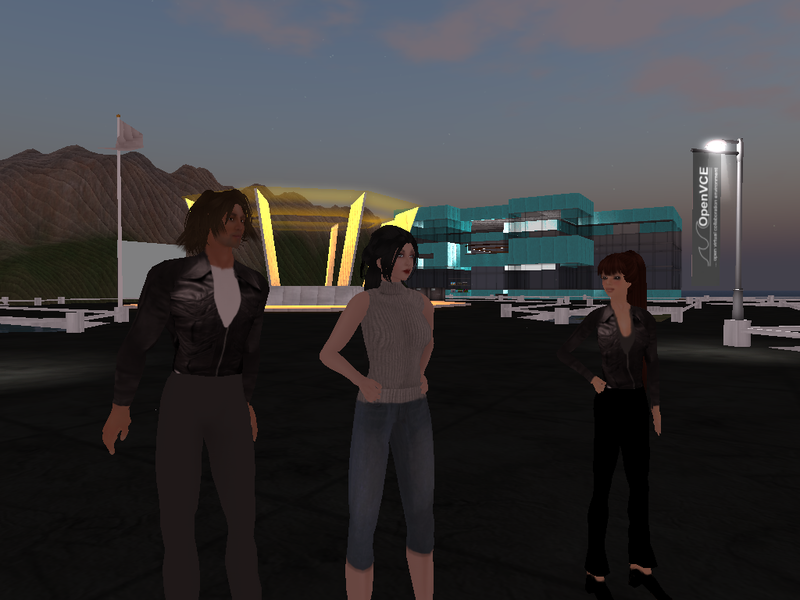 Of course you can also start up two (or more) OpenSim-in-a-boxes then you always have the chance to link back so that all regions are linked to each other. The coordinates should be consistent, though. Regarding available Hypergrids: You can find a list of HyperGrid Nodes here but I am not sure which ones are active. We checked ucigrid04.nacs.uci.edu:9003 and it was working. 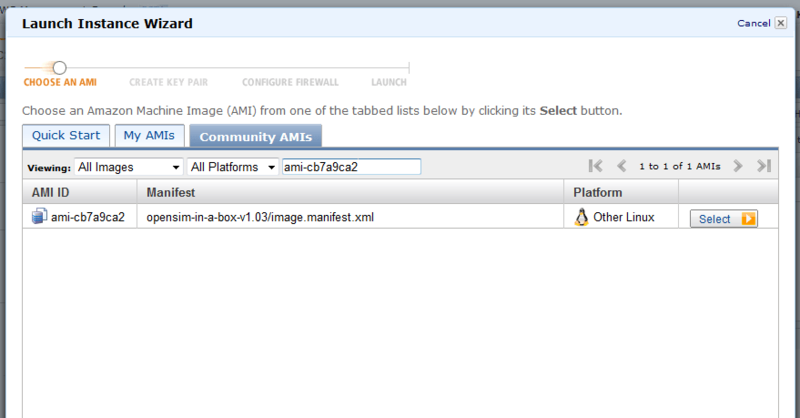 So, how do you install the OpenSim-in-a-box into the cloud? 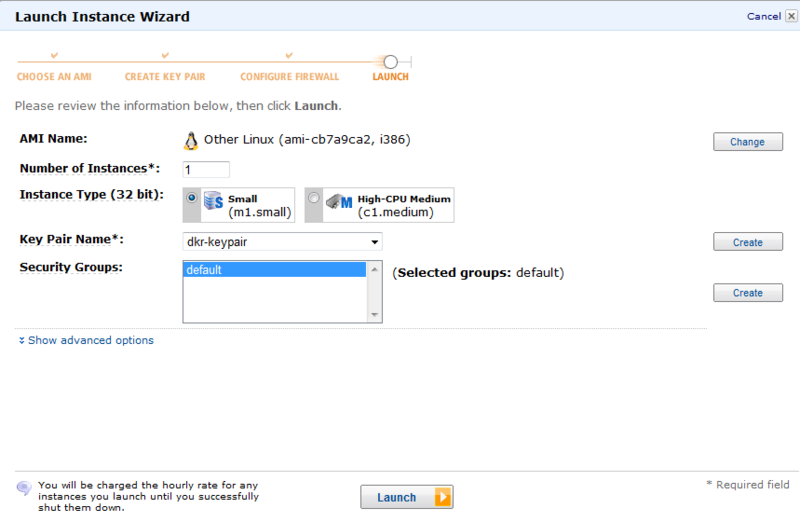 Yes, these are quite few (mostly freeswitch) but you need to do this only the first time. You do this in the security group section of the AWS console. You are currently browsing the archives for the OpenSim category.